“The United National Party (UNP) has been roiled by internal dissension since the party lost the April parliamentary election. The dissent is a bit unfocused, but its main aim is to clip the wings of Ranil Wickremesinghe, the UNP and Opposition Leader, and/or remove him as party leader. (Wickremesinghe was prime minister from December 2001 until the UNP’s defeat in the April election. )” the US Embassy Colombo informed Washington. The Colombo Telegraph found the related leaked cable from the WikiLeaks database. The cable is classified as “CONFIDENTIAL” and discuses the UNP’s internal crisis after the 2005 April parliamentary election. The cable is signed by the US Ambassador to Colombo Jeffrey J. Lunstead on May 12, 2004. “In the second challenge, UNP party member and Sri Lanka Telecom (SLT) chairman Thilanga Sumithapala spearheaded an effort to replace Wickremesinghe as party leader last week. Sumithapala, in making this move, claimed that Wickremesinghe had failed the party and needed to be removed. 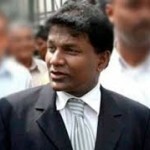 Nimal Weeraratne, a UNP official, confirmed to Pol FSN on May 12 that Sumithapala had tried to oust Wickremesinghe and asserted that Sumithapala had also attempted to convince several UNP members to cross over and support the United People’s Freedom Alliance (UPFA) government. According to Weeraratne, members loyal to Wickremesinghe had told the former PM of these machinations and the effort was quashed. (Contacts have told Mission that Sumithapala, currently on bail for his alleged involvement in an immigration scandal, may be forced to resign from his position as SLT chairman shortly.) In fending off Sumithapala’s effort, there are unconfirmed reports that Wickremesinghe had to promise that he would undertake large-scale reform and ‘restructuring’ of the UNP. (Indeed, at the UNP’s May 10 meeting, Wickremesinghe had reportedly placed some reform proposals on the table, including the idea of developing ‘a UNP code of conduct.’ This latter idea is aimed at stopping corruption and ethical improprieties. Charges of corruption dogged a number of ministers and UNP MPs during the recent election campaign.) “Lunstead further wrote. Want To Beat The Middle Income Trap? The American Embassy has been responsible for destabilizing this country for a long time. After doing that they write as if they were mere, passive observers setting the ball rolling. Why should the American Embassy want to de-stabilise an insignificant, non-developing, irrelevant country? This de-stabilisation theory is a conspiracy theory rooted in the assumption that Sri Lanka is the centre of the world. This is a sense of self importance quite out of proportion to the reality of the negligibility of Sri Lanka. Illusions of grandeur and fear of conspiracy are signs of paranoia, the collective mental illness that afflicts the Sinhala Buddhist society. It is a state of mind that is used by the ruling dictatorship to maintain its hold on this primitive society. Why should the American Embassy want to de-stabilize an insignificant, non-developing, irrelevant country? Well ask your self why America funded and assisted the LTTE for the last thirty years? India thought that it was only India that had the reins of the LTTE, to see that there were third parties funding and providing Military hard wear to the LTTE, that drove Rajiv Gandhi to come here and sign the ’87 Peace Accord. The rest is History. Today the Political turmoil in Maldives is a case in point to prove that no country is too small for American meddling. So grow up to face reality. Signing the 1987 accord didn’t end the covert relation between LTTE and USA. 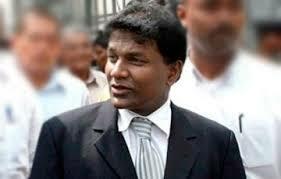 India’s Taliban then started working for the West under Premadasa’s political patronage. Native, after America used the LTTE cadre to eliminate Rajiv Gandhi and installed a Puppet as Manmohan Singh, India was manipulated by the Americans thereafter notwithstanding the Peace Accord. The Americans playing their Political games, then made China also Partners in the region and have now taken the sting off the LTTE, making the LTTE a toothless Tiger. What an irony. Esmond helps JR to build the UNP from virtual scratch and the son, as leader, ruins it beyond repair.